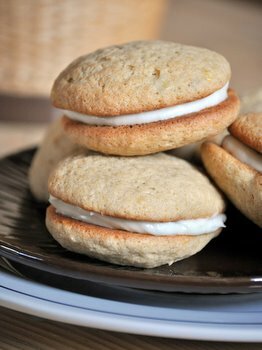 Whoopie pies are a dessert that consists of two cake-like cookies sandwiching a creamy, frosting-like filling. 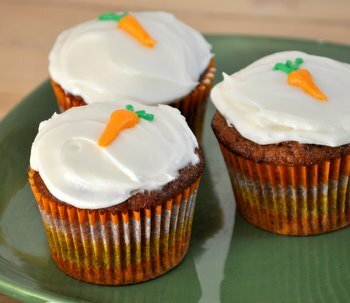 It is easy to think of them as a more portable version of a cupcake, where the frosting is inside of the cake and there is no wrapper to contend with. They’re generally thought to have originated in Pennsylvania Dutch country as an Amish dessert, but the exact origin has never reliably been determined and they are very popular all over New England. The most classic whoopie is made with chocolate cake and has a sweet cream filling, although marshmallow filling is very popular in some parts of the country. Whoopie pies a bit of an oddity because the name has nothing to do with what the dessert actually is and, naturally, there are all kinds of stories that exist to try and explain the origin of that name. The most popular story is one in which excited Amish kids shout “whoopie!” when they discover their mother has just baked these treats for them. I wouldn’t put it past anyone to shout for joy when seeing a freshly baked whoopie pie, but the name still can’t be definitively tied to this story. 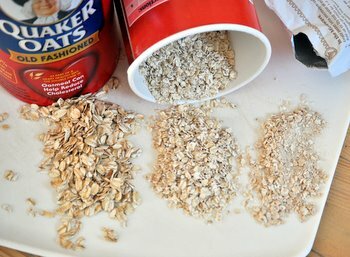 Some food historians simply believe that the name is so catchy that it must have been developed commercially, by a baker or bakery pushing a new product. Love this post! I just read an interesting book on Whoopie Pies, Whoopie Pies : Dozens of Mix ’em, Match ’em, Eat ’em Up Recipes by Sarah Billingsley and Amy Treadwell. (I have no affiliation with the book, just a reader.) Its a wonderful recipe book with lots of combinations for these pies! These a wonderful but my dough was to wet/sticky to form into a ball by hand I used a small scoop. What did I do wrong? I’ve very precise about measuring but would over mixing cause this? These were made for a friend who broke her leg and she said it would heal faster if I made more of these for her.